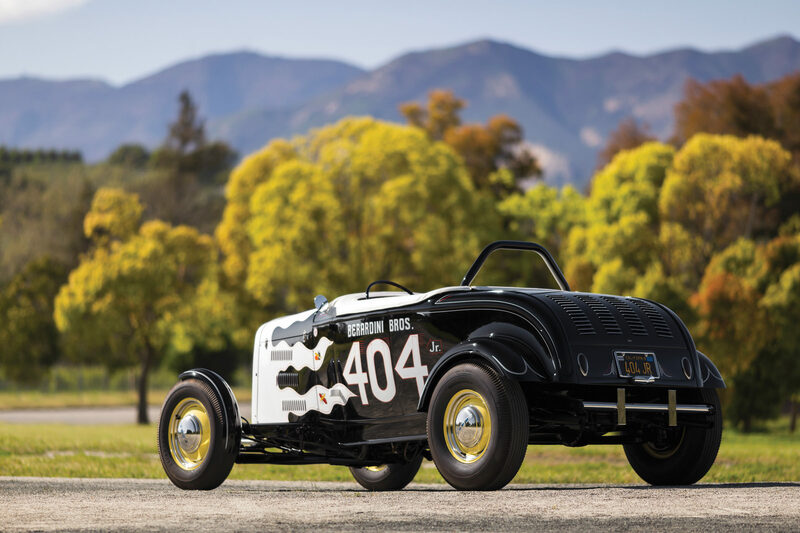 Under the hood of the Berardini Bros 1932 Ford was a Flathead V8 so dominant on the 1/4 mile drag strips of the LA-area in the 1950s that the very sound of it would strike fear into the hearts of its competitors. 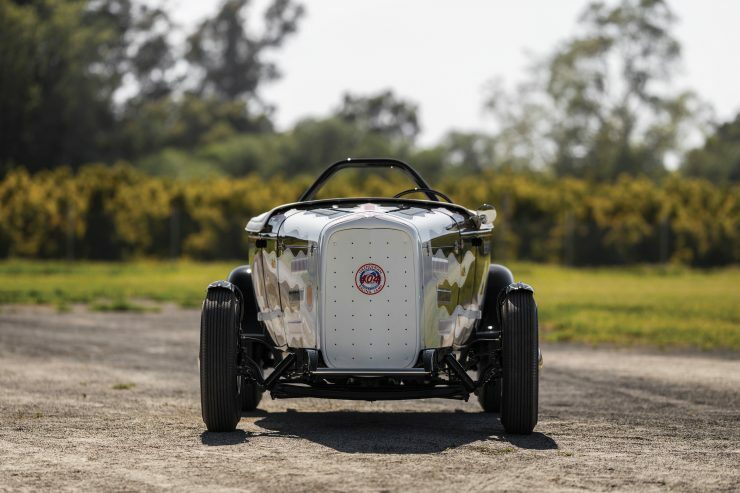 Pat and Tony Berardini won the Gas and Fuel Street Roadster Championships from 1950 to 1955, setting countless track records. Pat drove the car you see here, a ’32 Ford (colloquially known as a Deuce) fitted with a 314 cubic inch Ford Flathead V8 with a 4-carburetor Edelbrock intake, Harrell high-compression heads, and a Harman and Collins magneto. 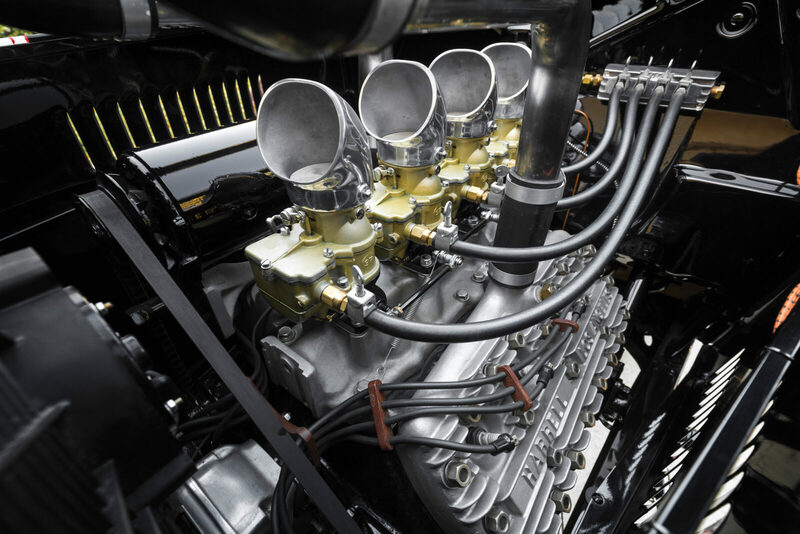 The Berardini Brothers had bored the engine out to 3-3/8 inches, and it was fitted with a handmade billet crank, stroked 5/8ths of an inch to 4-3/8ths. 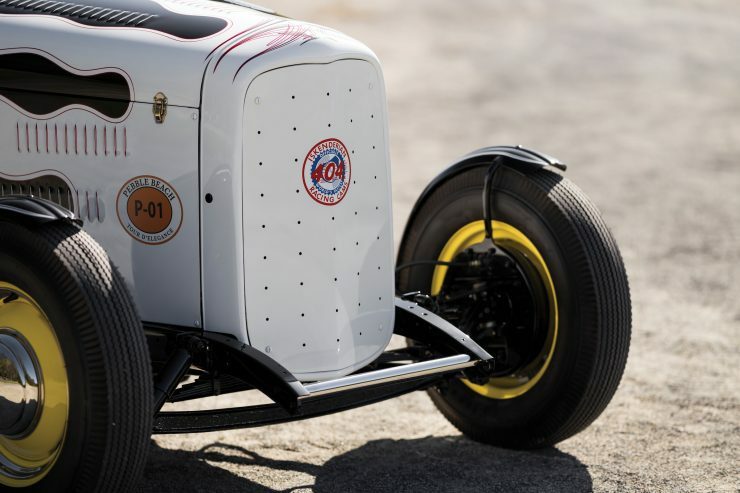 The pinstripe finishing touches were put on the car by Kenneth Howard, better known as Von Dutch, once his paint was dry the car was ready to race. 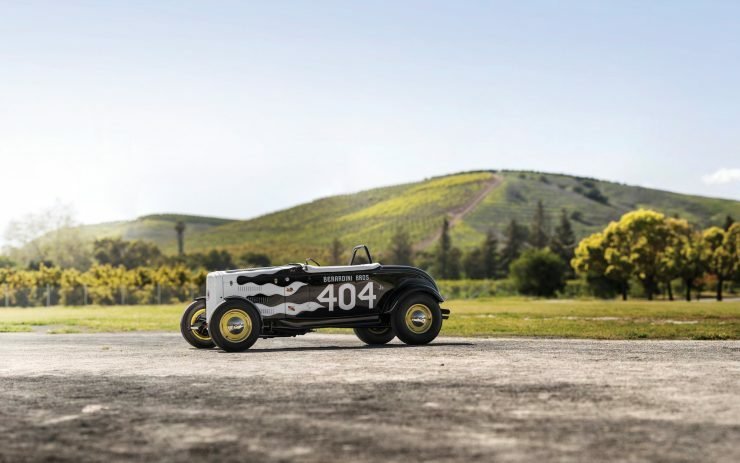 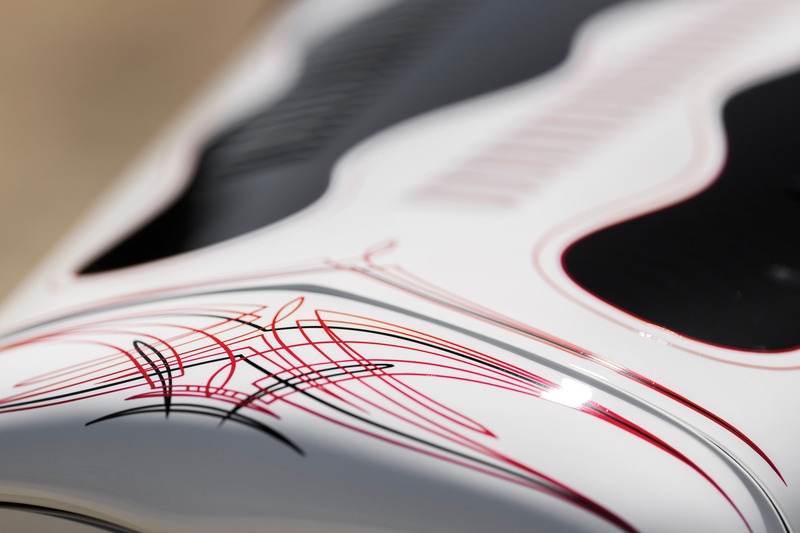 The car was nicknamed the “404” as a reference to its Iskenderian 404 racing camshaft. 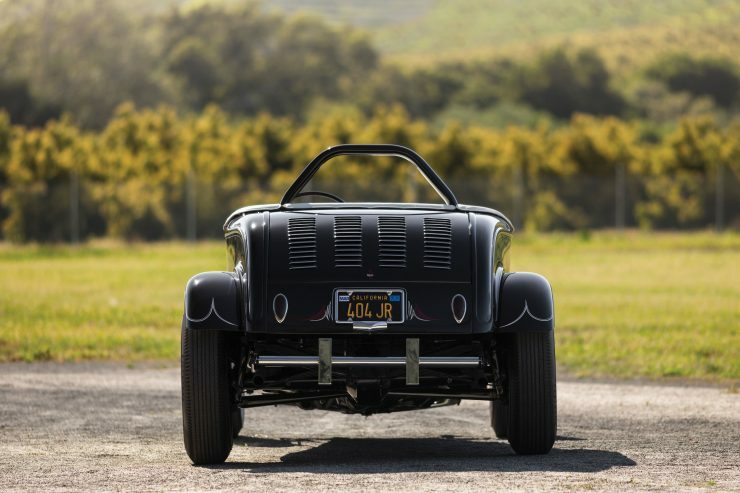 The cam was developed by Ed Iskenderian to match the radical cam profile that Ed Winfield had designed for the twin-cam Offenhauser racing engine, the lift was actually .400, but Ed decided that “404” sounded better so he ran with it. 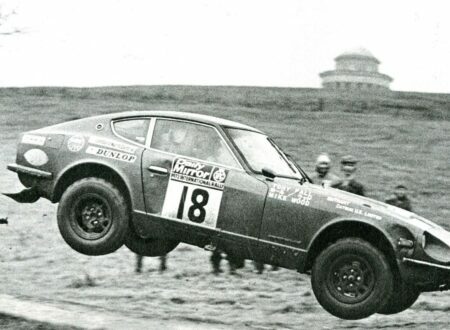 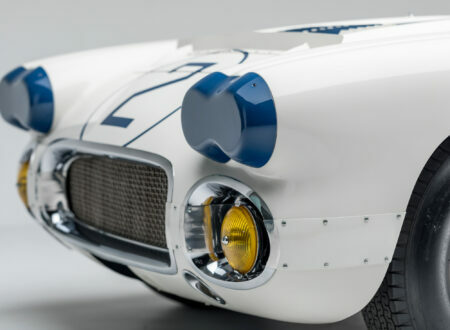 Due to the high valve lift and long duration the cams were entirely unsuitable for road use as the engines would barely idle, but on the race track they were unstoppable. So famous was the car in LA that it had a cameo appearance in the 1954 Glenn Ford/Ann Francis/Sydney Poitier classic, Blackboard Jungle. 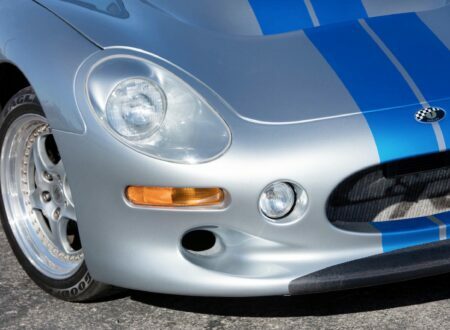 The car appears with one other where two street racers chase down on Francis and Ford, who only barely escape. 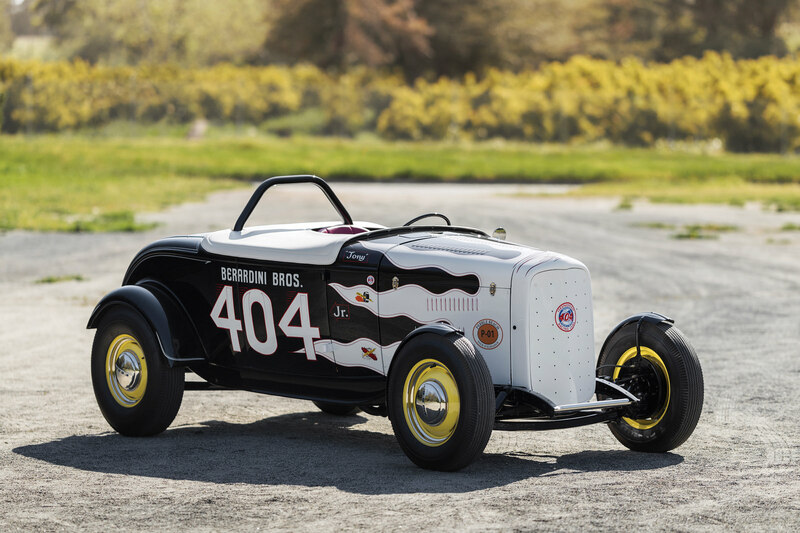 In 1955 the Berardini Bros sold their championship winning car on after 6 years of consistent success, it passed into the hands of Jeano LaCoste from the San Francisco “Pacers” club – who kept racing it and even managed to lower the 1/4 mile time to 11.75 seconds. 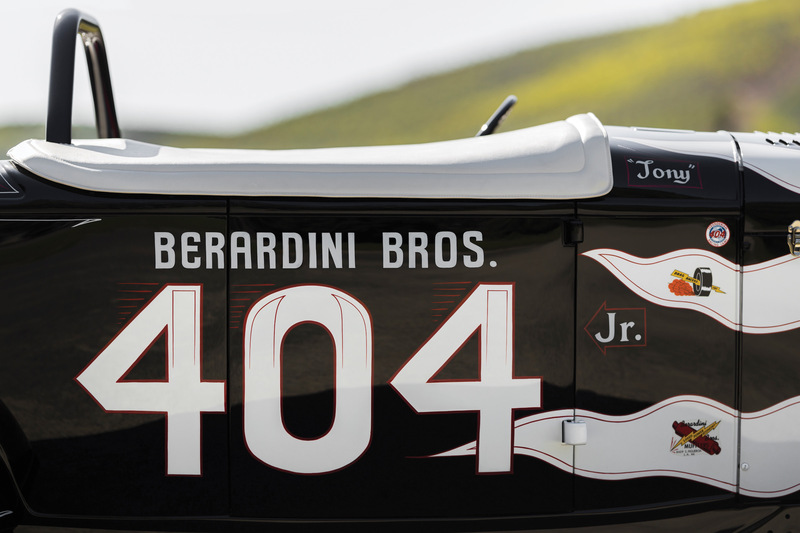 As is often the case with racing cars, the Berardini Bros 1932 Ford 404 Jr. passed through multiple hands over its life and much of it was changed – but in 2004 the car was seen at the Grand National Roadster Show by Roger Morrison, who decided he wanted to restore it back to its original specification. 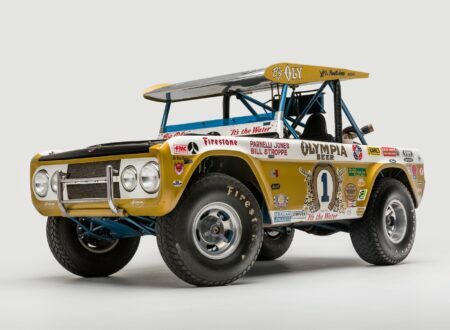 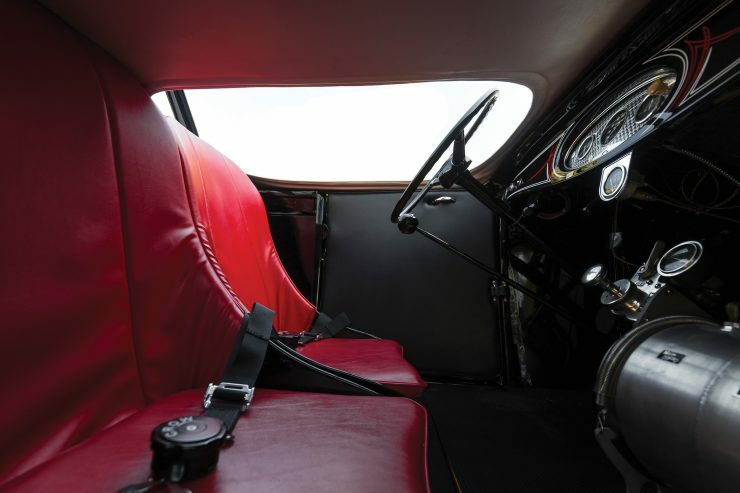 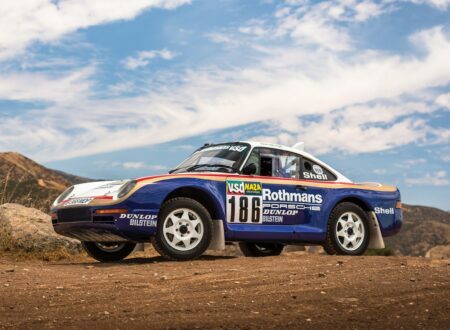 The car was shipped to Dave Crouse in Loveland, Colorado who began a full frame-off restoration, after studying videos and photos of the car racing in-period. 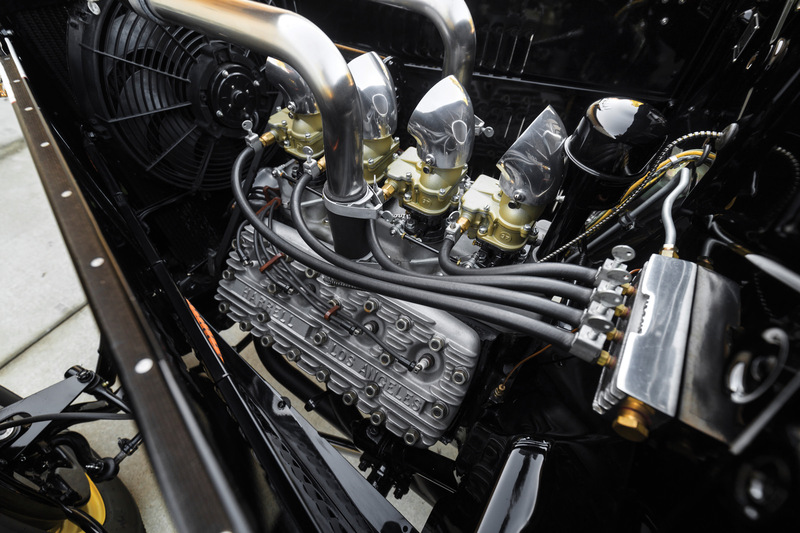 The original frame was sourced, with as many other original parts as possible, a new Flathead V8 was sourced and built to the exact specification of the original, and amazingly Ed Iskenderian still had one last 404 camshaft and lifters on the shelf which he supplied to ensure that the car would run properly. The full restoration took two years, and the launch party at the NHRA Museum included one very special guest – Pat Berardini. Pat climbed into the car a little more slowly than he used to in the early ’50s, and he fired it up. 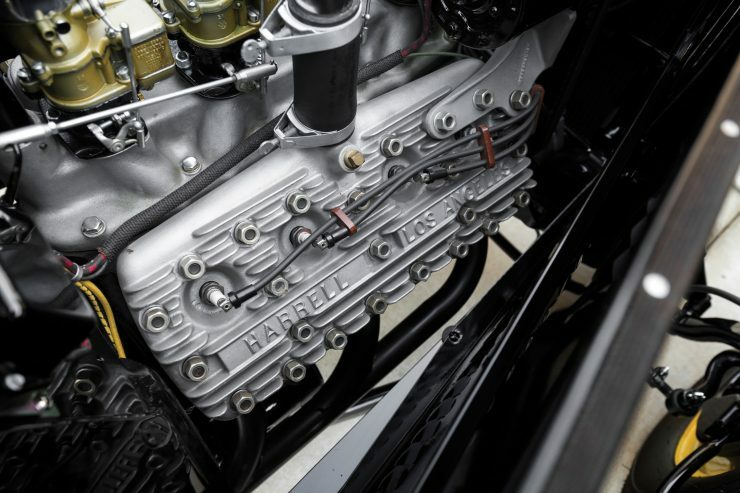 The wildly unsteady sound of the Flathead with its 404 cam idling brought back a flood of memories and he couldn’t resist giving the throttle a few pokes to really bring the engine to life. 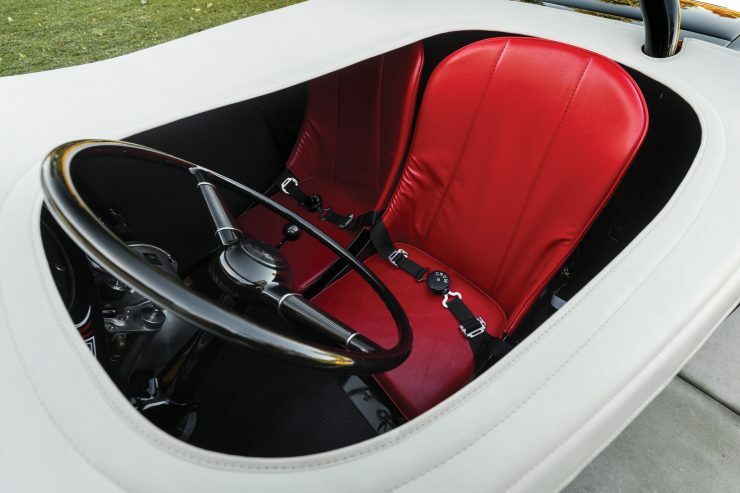 In the years since the car has won its class at the illustrious Pebble Beach Concours d’Elegance (2007) where Edsel Ford presented the car with Pat Berardini riding shotgun. Today the car is considered one of the most important and influential ’32 Ford hot rods of all time, and for the first time in a long time it’s coming up for open auction.